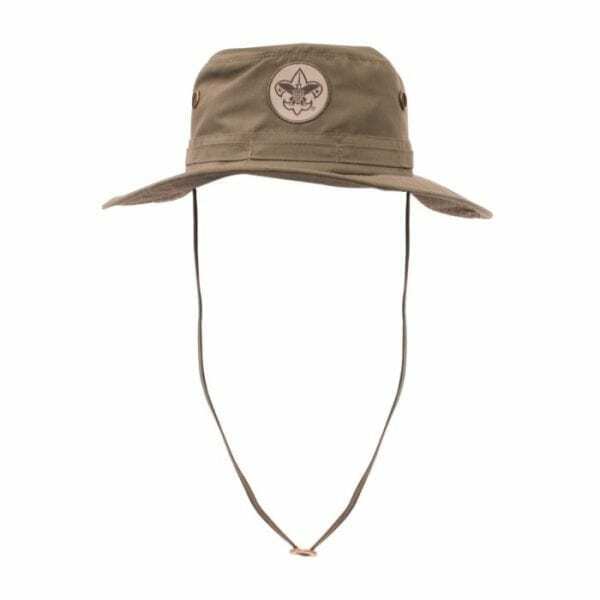 This Boonie is made with lightweight and breathable microfiber and has side eyelets for additional venting. The chincord and loop detailing keeps it in place when your adventures pick up pace and can be worn in water! 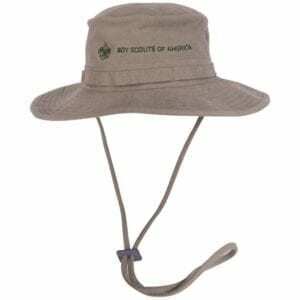 Easy to clean (washable) and extremely packable, this hat is the durable sunshade you have been needing. This boonie features the Boy Scouts of America logo on the front and has a 3.5″ brim with a mesh liner. 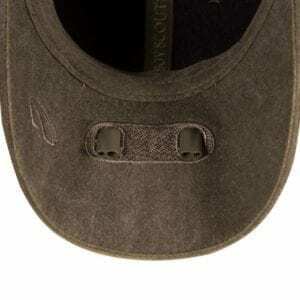 The XL fits US cap size 7 1/2 – 7 5/8.